Vincent Broquaire is an artist. Over 11 weeks, the Touch Me – Being a citizen in the digital age, presented in the heart of Strasbourg, questions the idea of citizenship in the digital age. The exhibition explores the nature of our responsibilities and freedoms in a world undergoing far-reaching and rapid change. At a time of digital revolution, where humans and objects are more interconnected than ever and the internet is considered to be a space for unlimited discussion and knowledge, issues concerning our digital identity are at the forefront of socio-political debate. 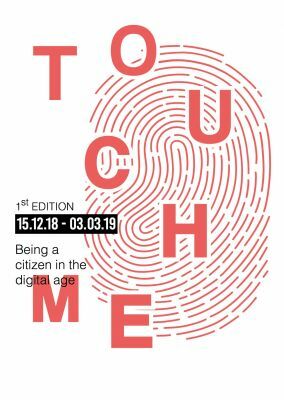 Touch Me invites the public to consider our relationship with new technologies and how the internet has profoundly affected our behaviour and society. With a selection of over forty works by internationally renowned artists, the exhibition serves as a means for discussion and debate between the public and artists of 9 different nationalities. The artists involved in the Touch Me exhibition all have a social, even hacktivist approach. Humour and different mediums are used to examine our use of the internet and our new behaviours. How do information systems affect the dynamics of society? How do they influence the creation and perception of our political, economic, and cultural environment on an emotional, relational, and behavioural level? What tensions are emerging between the public/private, online/offline, and virtual/ reality domains? How do we use these new medias and how do they use us, and how are they transforming us and modifying our lives? How can we encourage and protect freedom and citizenship in cyberspace? Each artist uses their unique approach to express their thoughts, carefully considered and sometimes tinged with humour and irony.